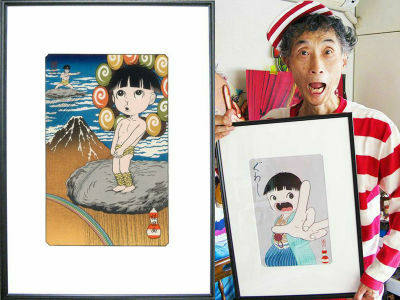 Works of Kazuo Umezu, the godfather of horror manga are turned into Ukiyo-e by The Adachi Institute of Woodcut Prints. 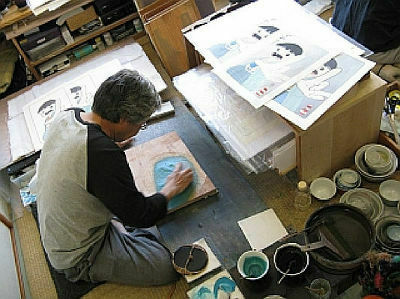 The gorgeous works will be exhibited at Gallery GAoh!, Shimokitazawa, Tokyo. The show will be held at Gallery GAoh! from August 20 to September 27, 2009. 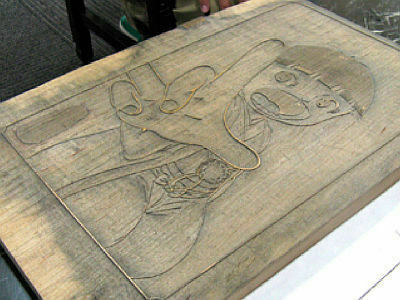 The wood-blocks will be exhibited too. 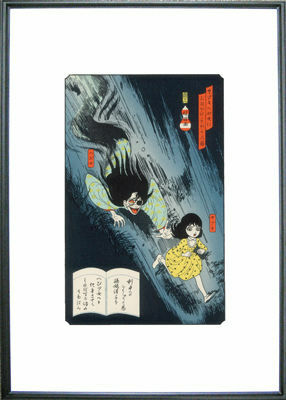 Horror goes well with ukiyo-e. "Satsuki chased by Snake Woman". Every kids in Japan practiced Makoto-chan's "Guwashi" fingers in the '80s. Raijin Makoto-chan in front of Red Fuji. 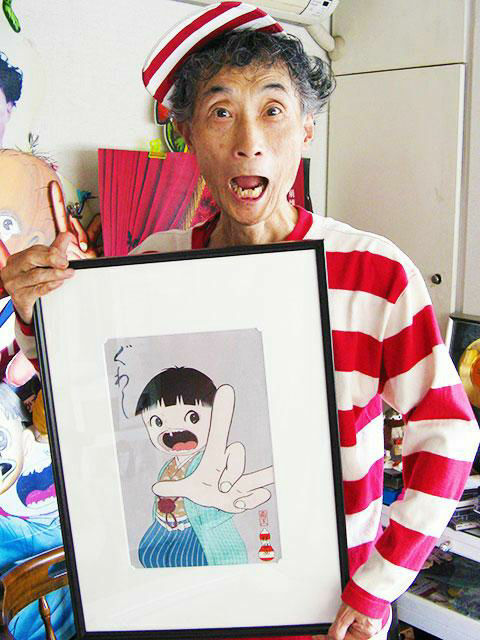 Kazuo Umezu in his trademark stripes. 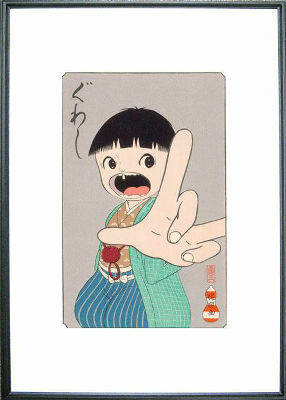 Woodcut prints, silk screens and other products including this papercraft "Umezu House" will be sold at the exhibition. Can't make it to Tokyo this summer? 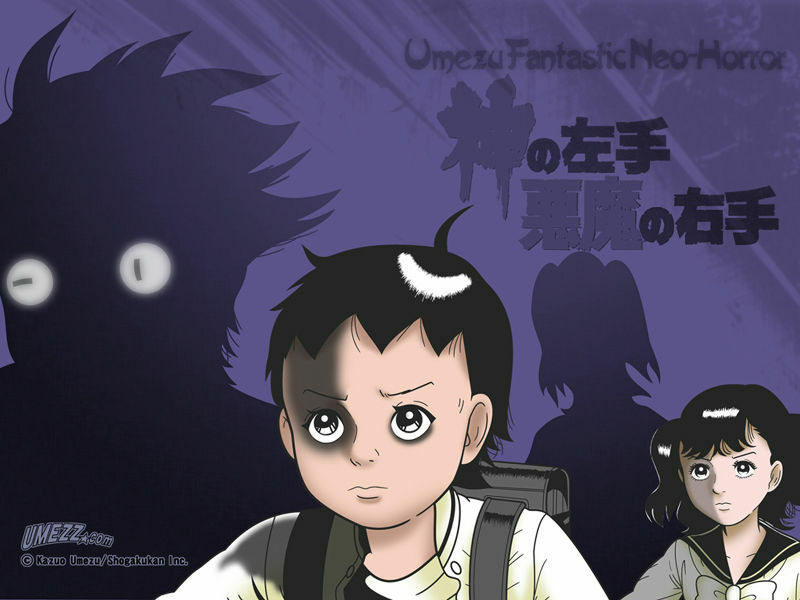 Here's some wallpapers of Umezu's "Kami no Hidarite Akuma no Migite (Left Hand of God, Right Hand of the Devil)". Higher resolutions available here. © Kazuo Umezu / Shogakukan Inc.